The Larder offers up gorgeous food with a view to match. A larder is defined as a large cupboard or room for storing food. 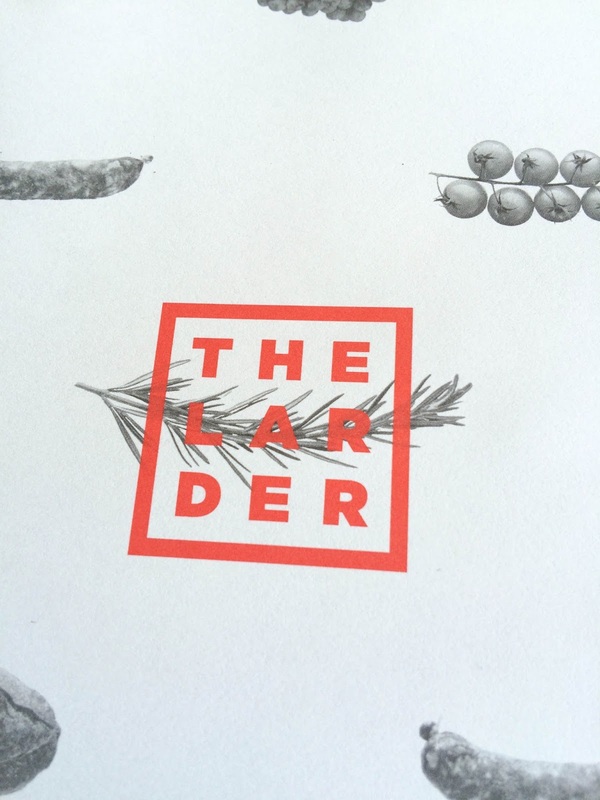 The Larder, located in Woolloomooloo, certainly stocks a nice selection of dishes. The compact menu has mains ranging from pulled pork to swordfish ceviche. 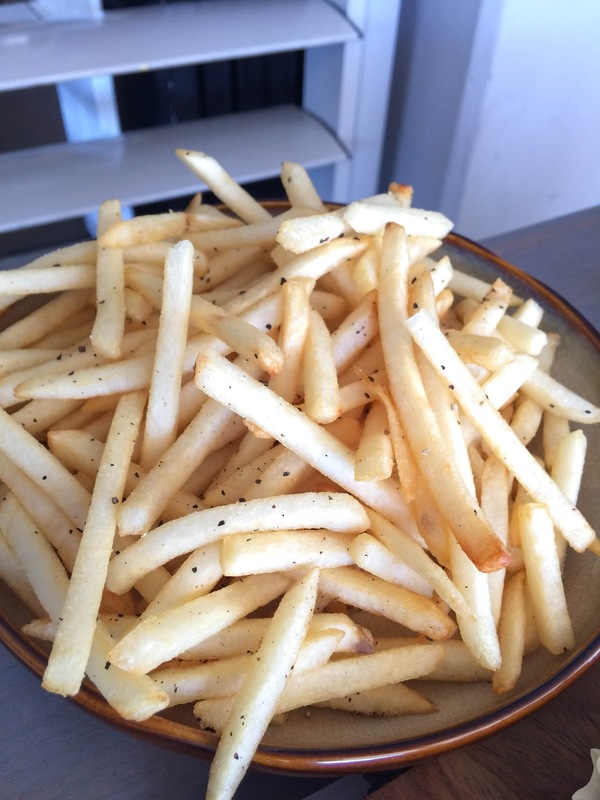 There’s 4 side dishes and 4 desserts to help your round off your meal. Head chef, Richard Ptacnik has created The Larder to be a casual destination with a focus on fresh produce. 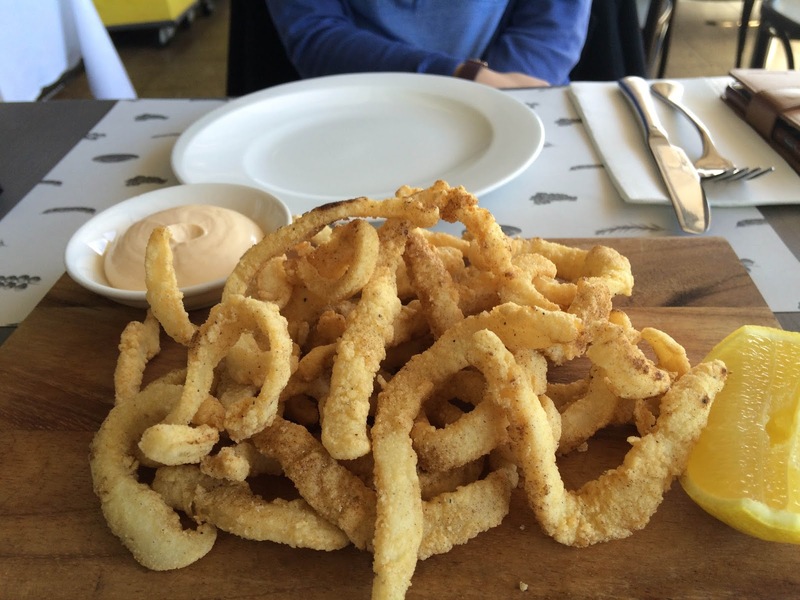 The fried calamari and fries are crispy and golden, a perfect way to start the meal. 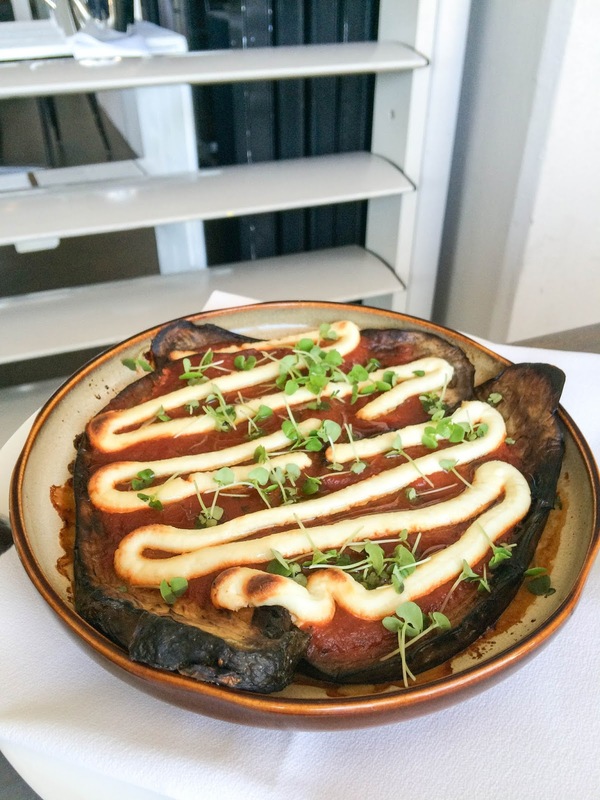 The eggplant parmigiana is luxurious and divine, perhaps one of the best eggplant dishes I’ve had in a while. 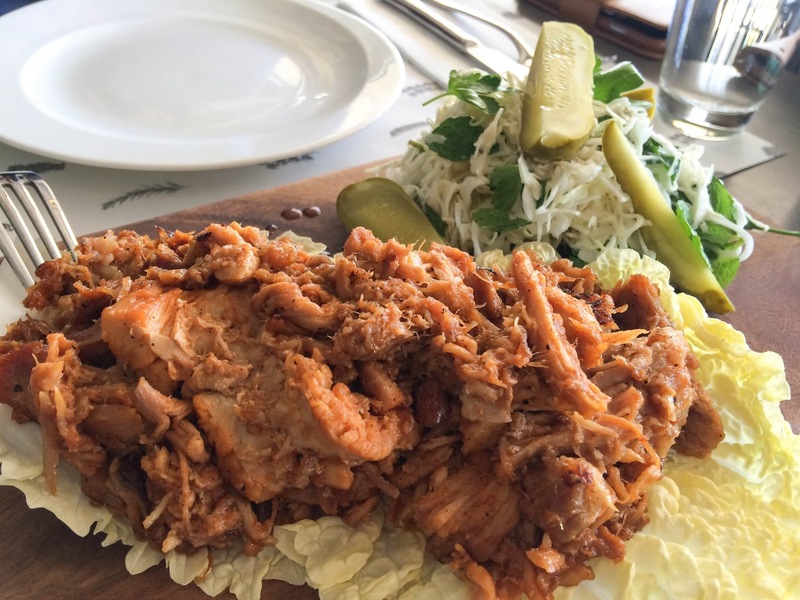 The pulled pork is flavoured well but unfortunately on the tough side. The accompanying coleslaw is perfect to cut through the heavy dishes on my lunch. 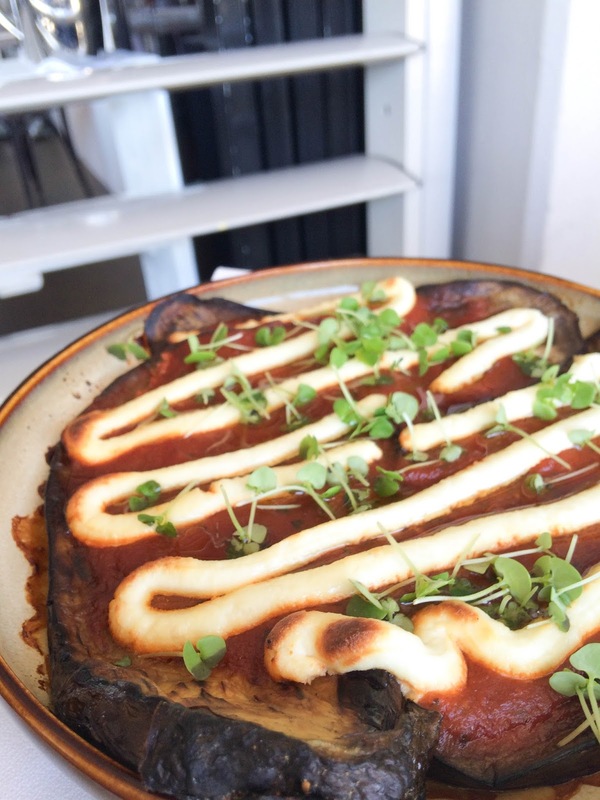 mmm that eggplant parmi looks delish!